Karen`s Nature Photography: Sunflower Stamens and Petals Close-up. 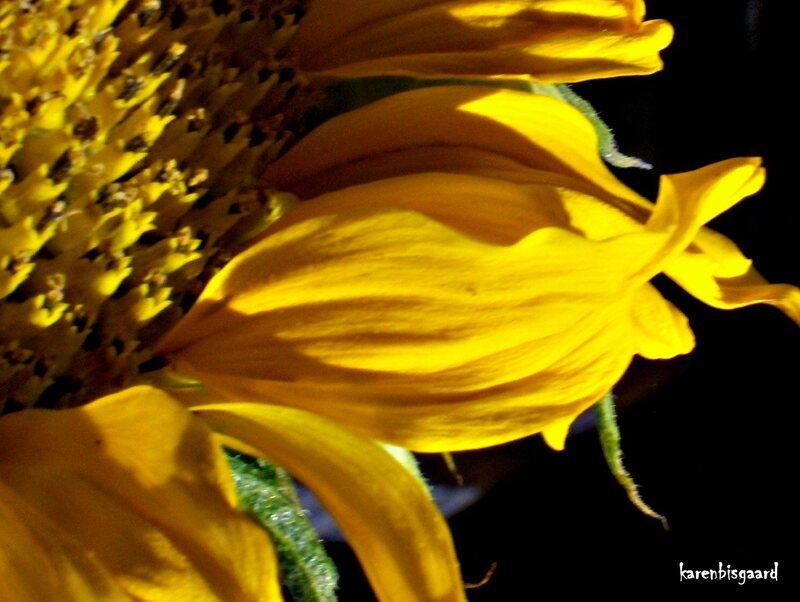 Sunflower Stamens and Petals Close-up. Nærbillede af solsikke støvdragere og kronblade. Pink Hydrangea Flowers Against Blue Sky. Peek to Bird House Behind Lathyrus Flowers. Globe Thistle Plants Against Heavy Clouds. Ripening Japanese Lanterns or Winter Cherry. Ears of Wheat in Cloudy Weather. Poppy Flower Head Covered in Raindrops. Common Garden Globe Onion Flower. Small Ant Climbs Thick Sunflower Stem. Close-up on Crowd of Red Poppies. Pink Hydrangea Flower Cluster in Garden. Thistle Flower Appreciated by Four Hoverflies. Close-up of Wild Pink Poppy With Hoverfly. Malva Moschata Flowering Against Blue Sky. Branch Carrying Almost Ripe Wild Cherries. Ripe Rapeseed Behind Garden Hedge. Pink Flowering Hollyhock Plant in Garden. Close-up of Green Sunflower Bud.